In solidarity with the #SaveALeaf campaign, our Amrut Mitti workshop this year, requires you to bring 1 bucketful or 1 sackful of DRIED leaves that you would have saved from being dumped or burnt - a symbolic gesture to show you care. 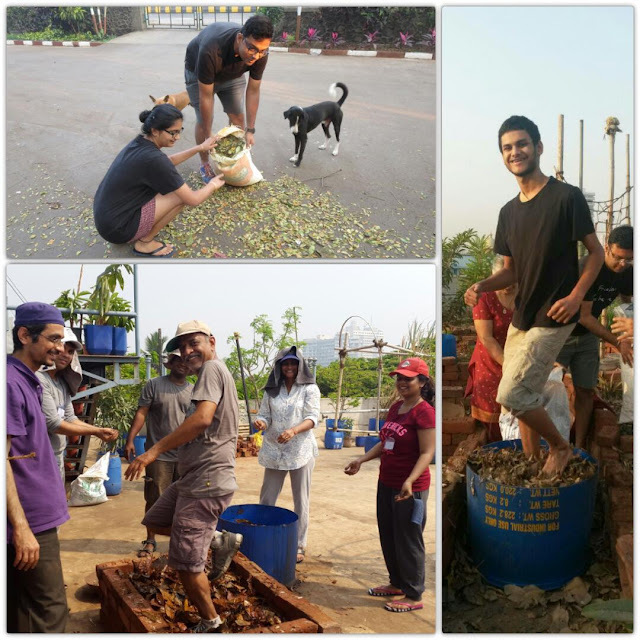 Come join us to learn the art of making this miracle soil, Amrut Mitti in a workshop at UL-DBPH Community Farm, Provincial House Roof-Top, Don Bosco Campus, Matunga East, Mumbai. You will get hands-on experience in addition to an interactive session. PLEASE NOTE THAT SEATS ARE LIMITED AND CONFIRMATION OF REGISTRATION IS SUBJECT TO REALISATION OF PAYMENT. Please fill the form at the link given below to register for the workshop. Individual registration is needed for each participant. Please ensure that you fill in your proper email address as further communication from us will be sent to this address. Payment can be made via Bank Transfer/NEFT and Cash payment to a volunteer.